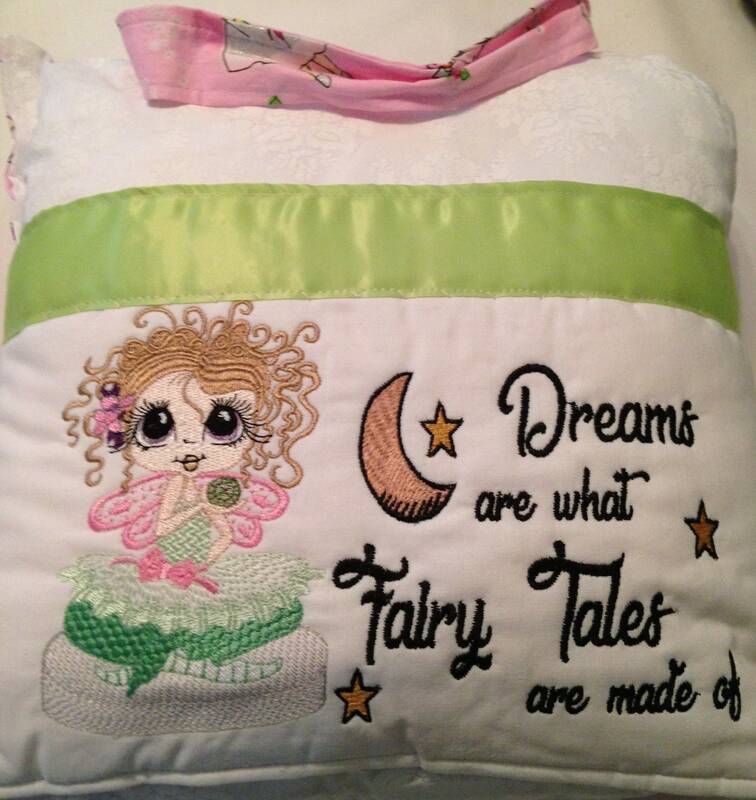 This beautiful pillow is made from pre washed quilt quality cotton. 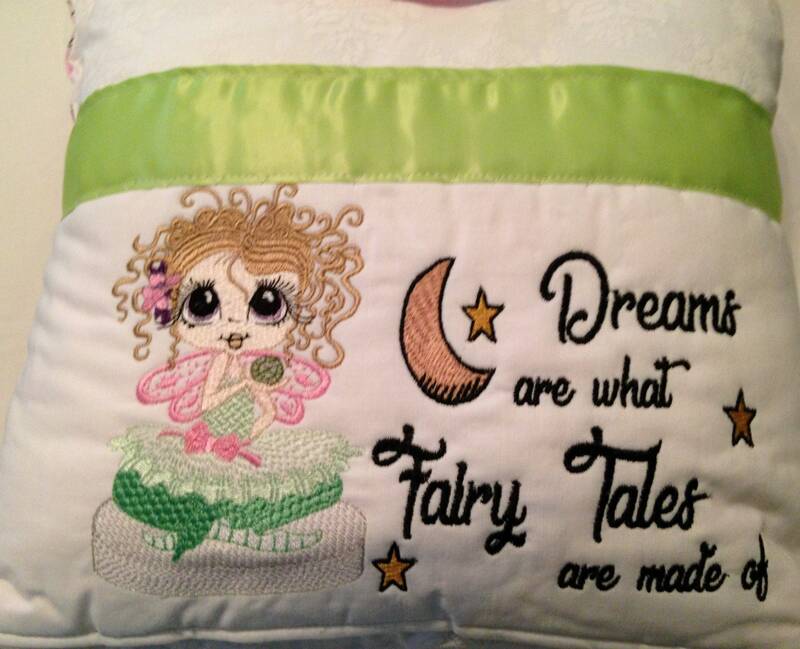 The pocket is white cotton and embroidered with a green and pink fairy and a fairy tale quote. 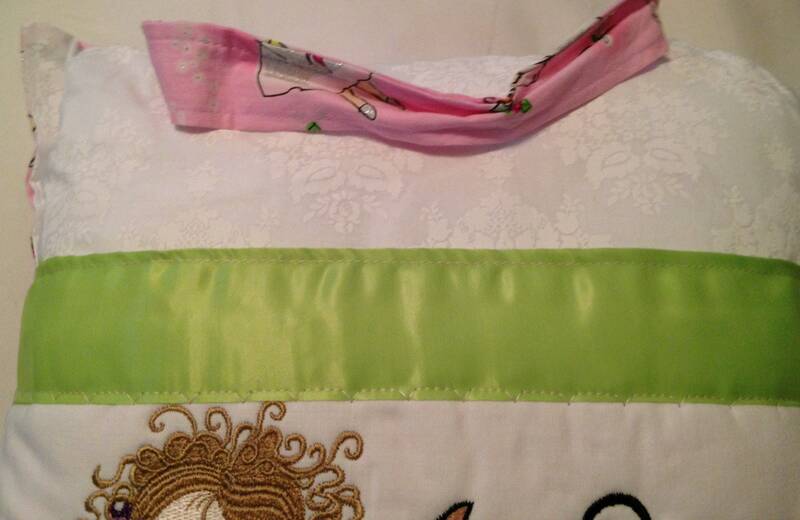 The top of the pocket is trimmed with celery green satin blanket binding. 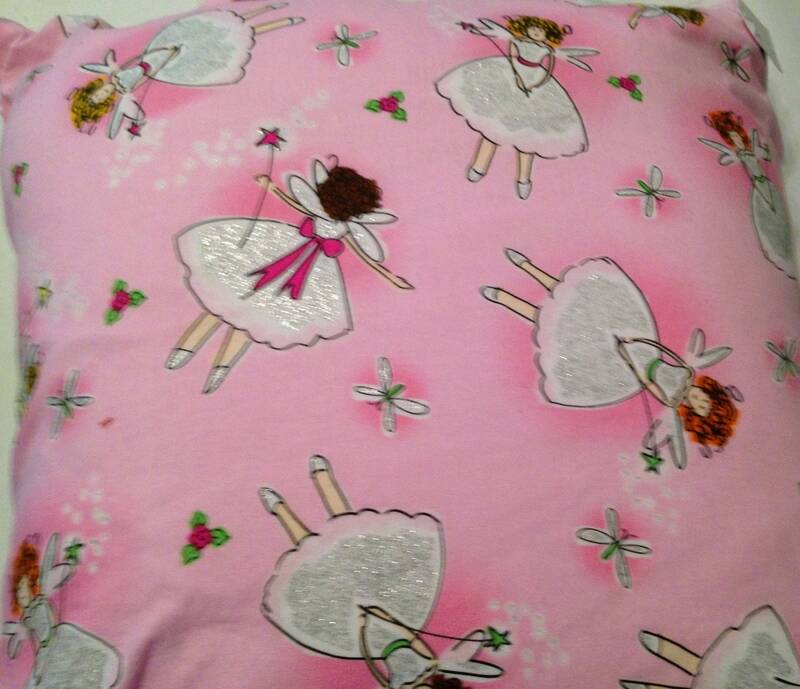 The fabric on the front is a white on white flowered cotton fabric and the back is pink with pink and silver fairies print cotton fabric. The bottom of the pillow has a hidden zipper closure so that you can easily take your pillow form out to launder the cover. 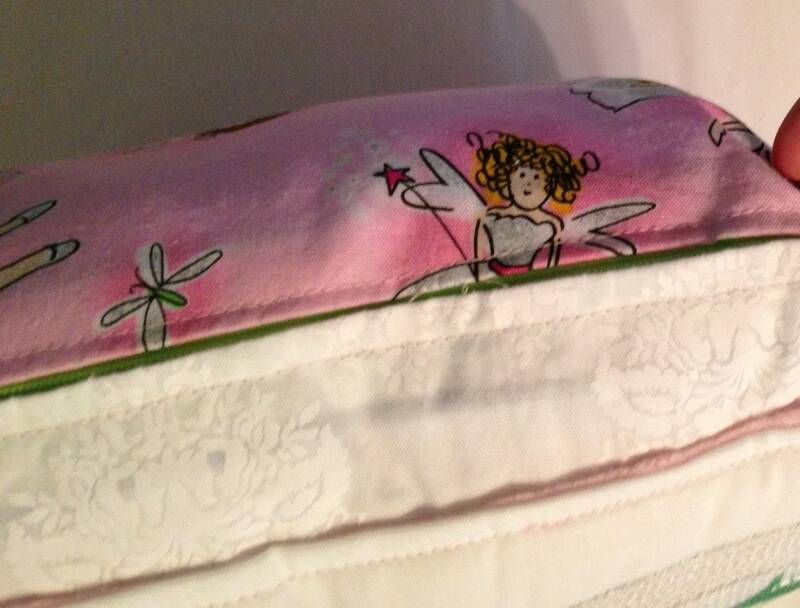 The top of the pillow has a fabric handle that matches the pink fairy back. This is just perfect for carrying the pillow around. 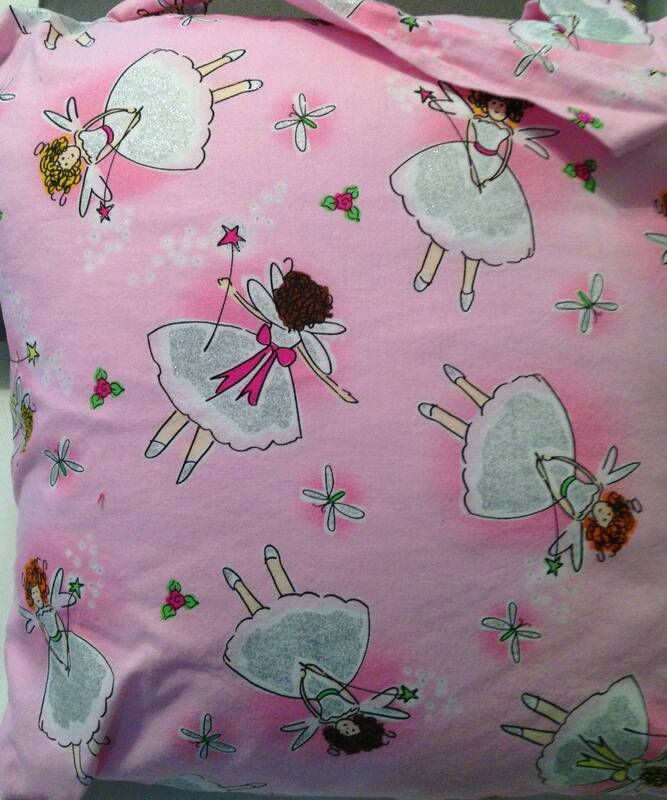 This very special pocket pillow will make a memorable gift for some little reader. 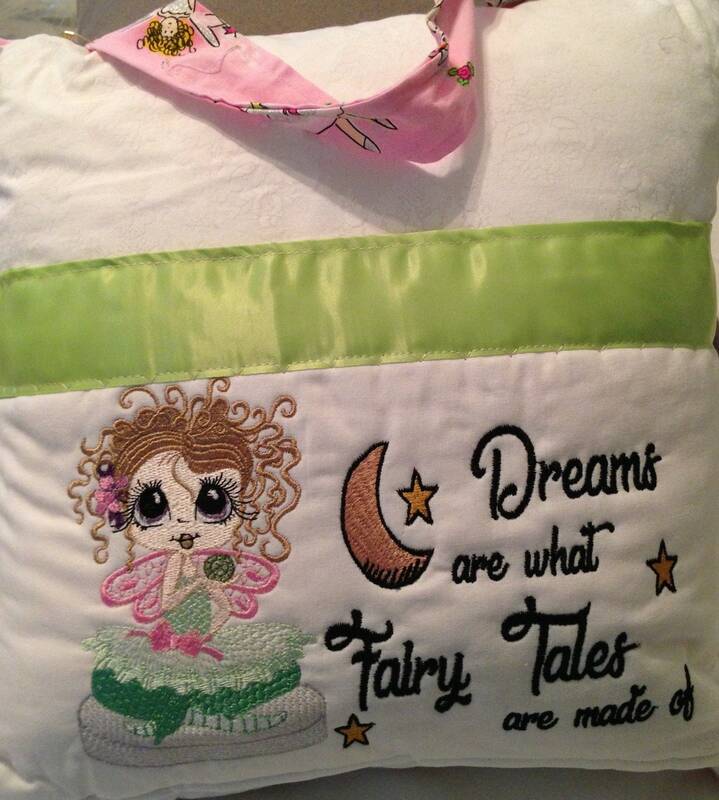 The pillows front pocket is 12" by 16"and beside the fairy it has "Dreams are what fairy tales are made of.." machine embroidered on it. As seen in the picture, this pocket is large enough to hold a good sized book.